Last year, director Vishal Devrukhkar’s directorial debut ‘Boyz’ made a splash at the Box Office and entertained the audience with its story and songs, including Amhi Lagnalu which went on to be a huge hit.The team of the film is all set to repeat the magic this October 5th. 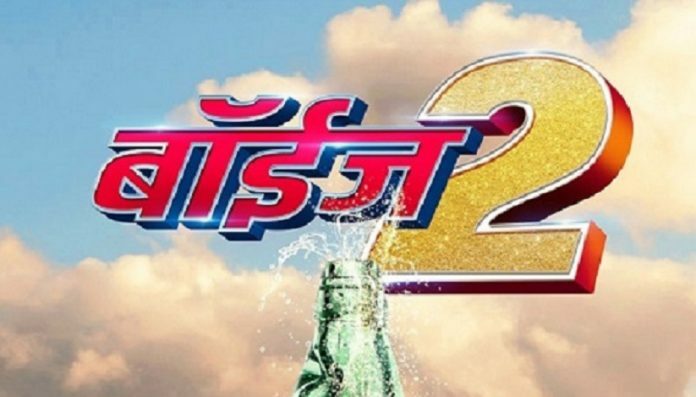 Presented by Eros International and Everest Entertainment in association with Avadhoot Gupte and Supreme Motion Pictures Production, ‘Boyz 2′ is all set to take the viewers on a joyride this year. The film, directed by Devrukhkar and produced by Lalasaheb Shinde, Rajendra Shinde and Sanjay Chhabria recently unveiled its teaser poster. While details about the story and cast are under the wraps yet, the poster gives out an entertaining feel. 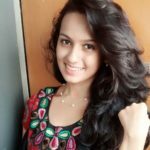 The film’s dialogues and screenplay have been written by Hrishikesh Koli who worked with the team on the first installment and that itself makes this film worth looking forward to. 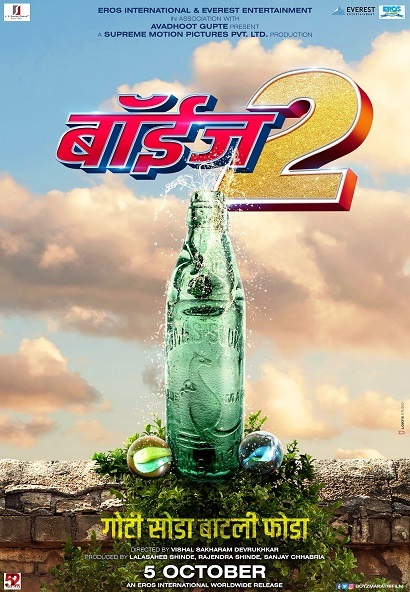 What exactly will unfold in the second part remains to be seen but there are high expectations riding on this on and viewers are sure to give all their support to the film. Eros International will also be distributing the film on a global scale.